Pictured above are: Leo Crawford, Chief Executive BWG Group, Joanne Cantwell, RTE, Pat Gilroy, Dublin Hurling Manager and Willie O’Byrne, Managing Director BWG Foods pictured at the BWG Foods Trade Show 2018. 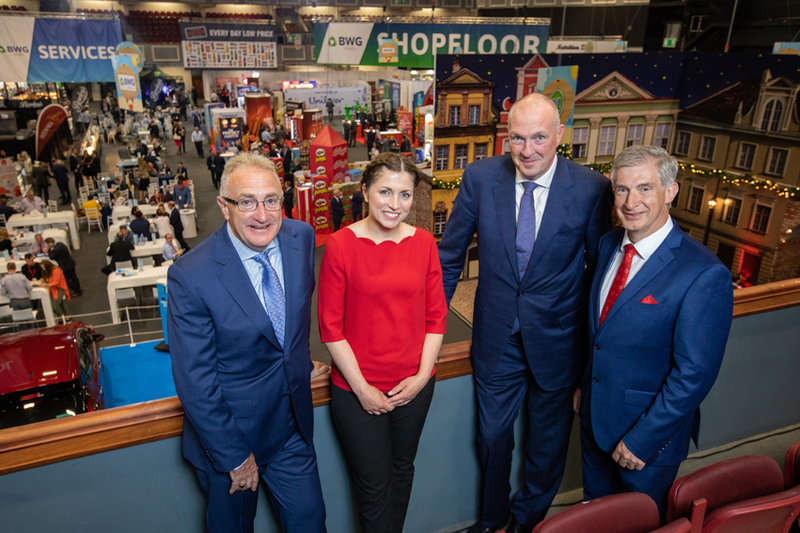 More than 1,000 independent retailers from the across the country attended Ireland’s largest retail trade event hosted by leading grocery retail group BWG Foods in the Citywest Hotel Dublin last week, generating a record €23 million in sales for exhibiting suppliers. 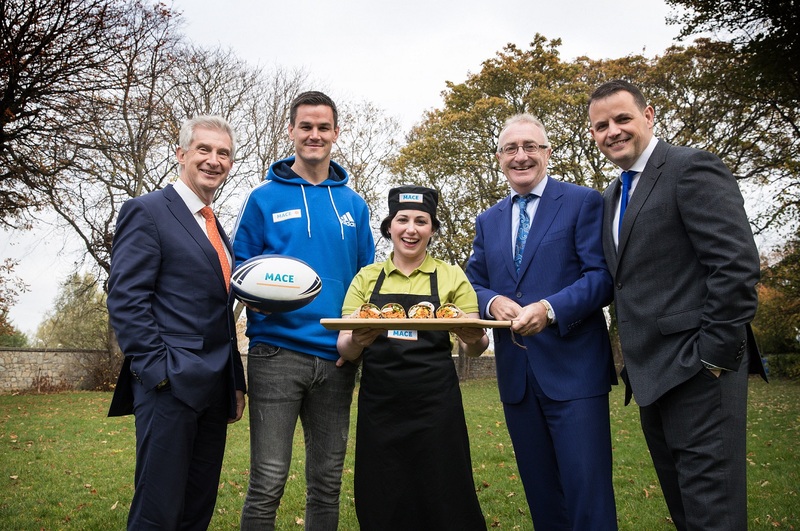 Over 200 indigenous and multinational suppliers, spanning categories including health and wellness, fresh food, pre-prepared meals, chilled produce, beverages and confectionery, received exclusive access to approximately 3,000 retail representatives across the SPAR, EUROSPAR, MACE, Londis and XL retail brands, who together have combined annual retail sales of approximately €1.8 billion. 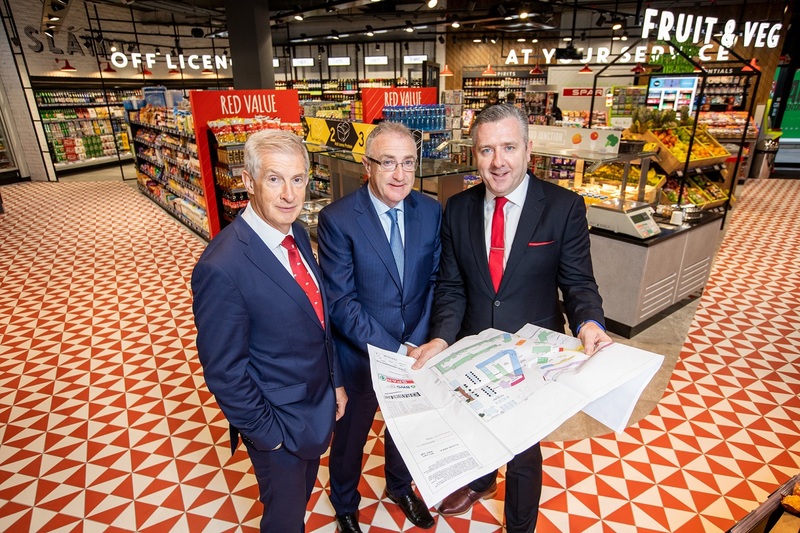 BWG Foods and its brands have been at the forefront of grocery retailing in Ireland for over 50 years and the Group is the market leader in the convenience sector. 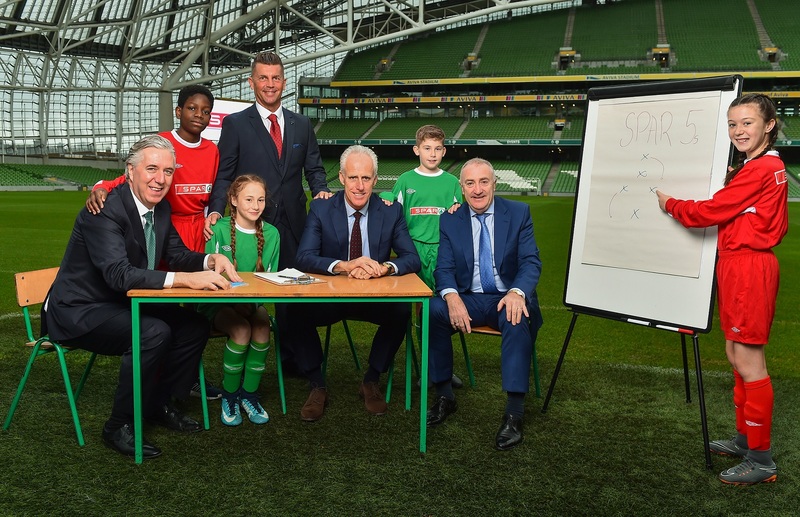 Through its branded retail estate BWG Foods employs 22,000 people across Ireland and serves in excess of one million shoppers every single day. 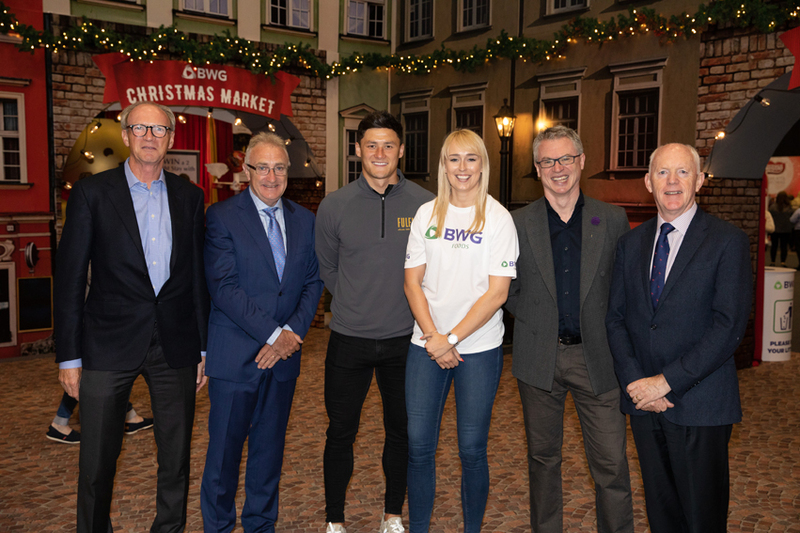 Pictured below are: John Clohisey, Group Property Director BWG Group, Leo Crawford, Chief Executive BWG Group, Lee Chin, Wexford hurler, Stephanie Roche, Ireland international footballer, Joe Brolly, RTE GAA pundit and John O’Donnell, Group Finance Director BWG Group.